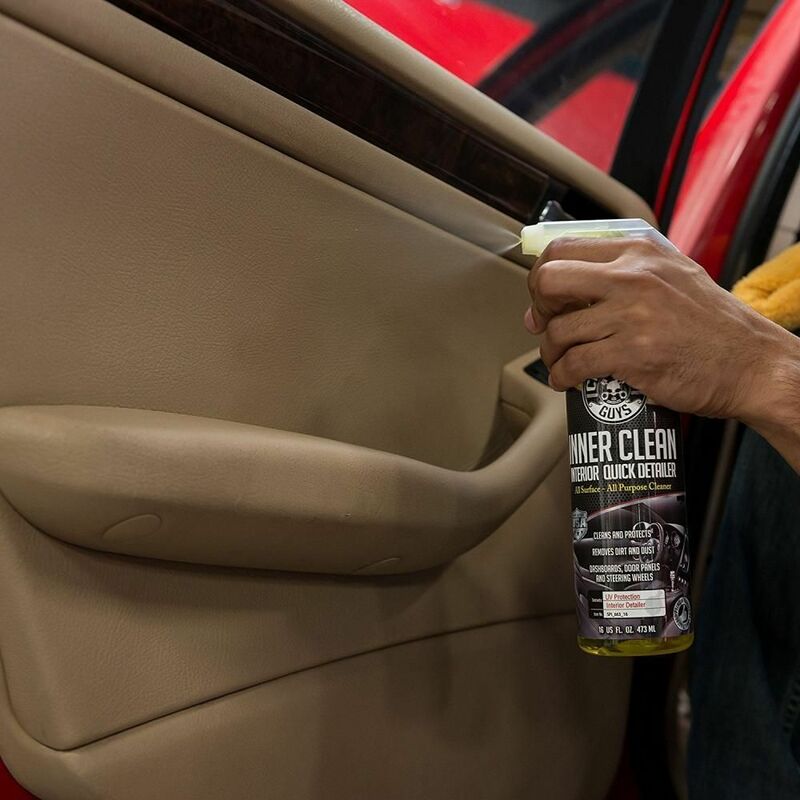 Chemical Guys InnerClean is the ultimate quick detailer for your vehicle's interior. The unique formula cleans and protects interior surfaces quickly and easily. It removes dirt, dust, and body oils from interior surfaces, restores a crisp OEM sheen, and protects against harmful UV solar rays. The unique conditioners bring life back to dry and neglected interior surfaces and restores a factory-fresh appearance. Clean dashboards, door panels, steering wheels, shift knobs, vinyl and leather seats, glass, LCD navigation screens, gauge clusters, and more with InnerClean. New anti-static agents and zero-residue formula help repel light dust and dirt to maintain a crisp, clean feel across cleaned surfaces. Use it to block out harmful UV solar rays and protect dashboards, door panels, and other plastic and vinyl pieces from cracking and fading. The crisp pineapple scent of InnerClean freshens any interior, while enzymatic odor eliminators destroy odors at their source. 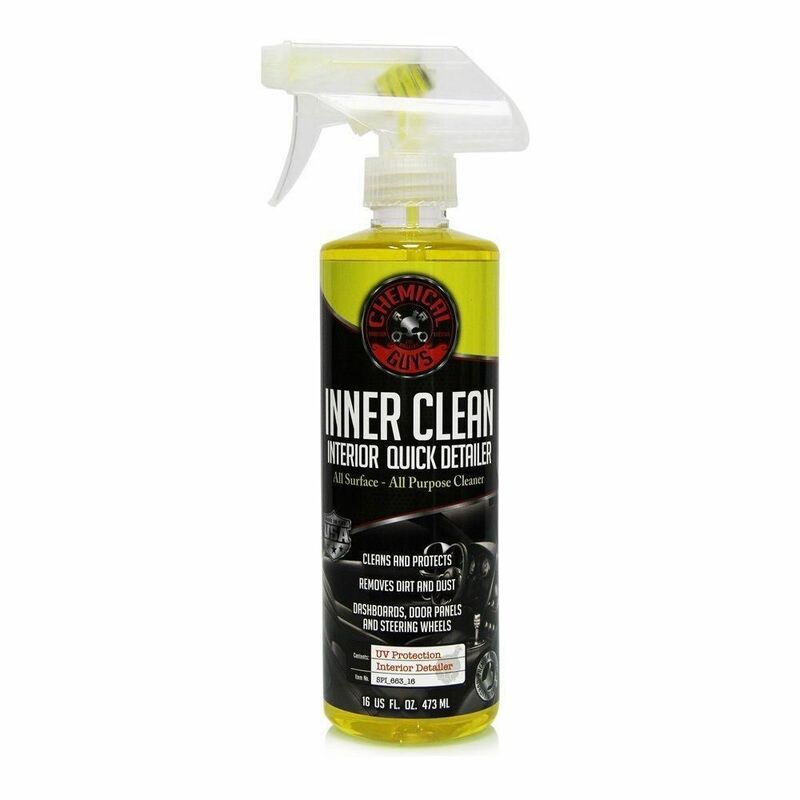 Don't let Mother Nature degrade your investment, clean and protect interior automotive surfaces with InnerClean.